Scintillating, surprising, inventive fiction from one of the most talented writers in Britain - this is a superb collection of short stories from the acclaimed author of the Chaos Walking series and 'More Than This'. 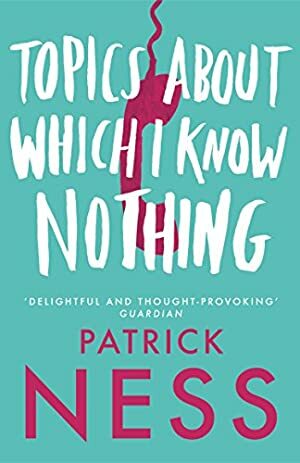 Wonderfully original, fresh and funny, Topics About Which I Know Nothing is stuffed to the gills with dizzyingly inventive writing and warming, puzzling emotions - a fictional guide to how the world might have turned out. Track It. This book has been £4.49 within the past year. The price of this book has changed 94 times in the past 2,610 days. This lowest price this book has been offered at in the past year is £4.49. The lowest price to date was £2.99 last reached on May 30, 2015. This book has been £2.99 5 times since we started tracking it. The highest price to date was £7.49 last reached on January 15, 2019. This book has been £7.49 2 times since we started tracking it.